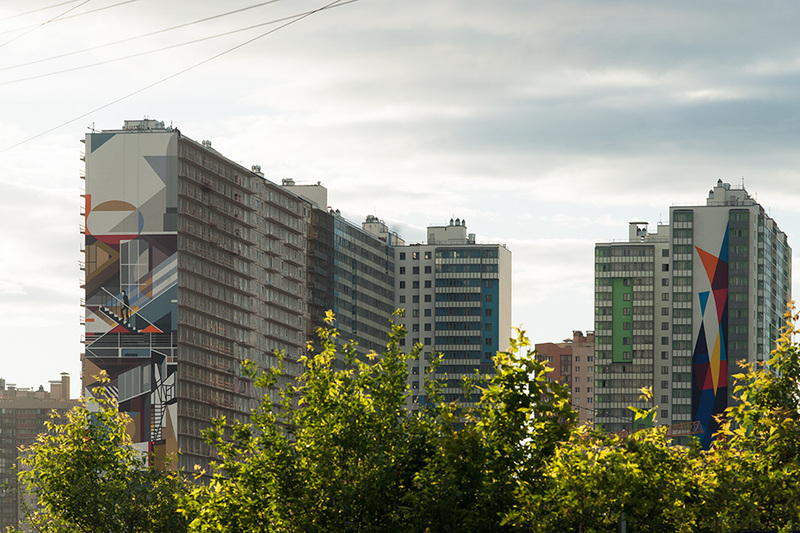 The Aesthetics (Petro & Slak) crew made the new large-scale painting in the second phase of series of murals in Primorsky district of St.Petersburg. 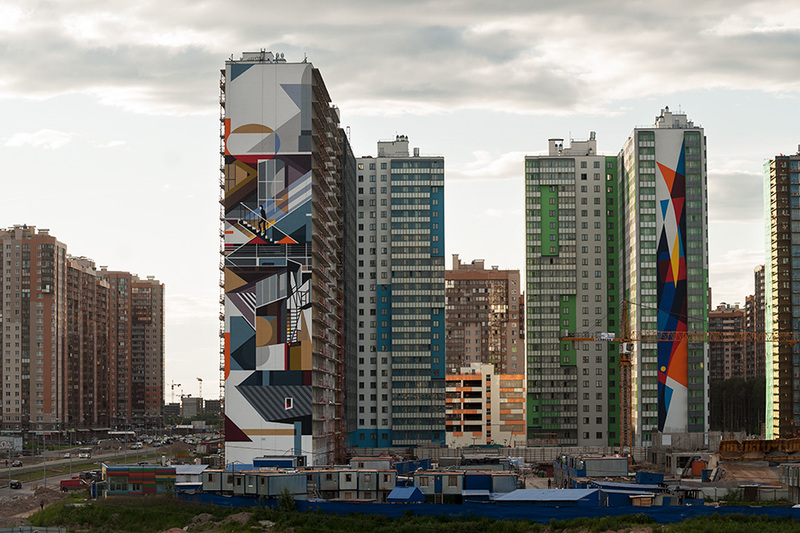 The art project was actuated by development company “Oikumena” and had started last autumn. 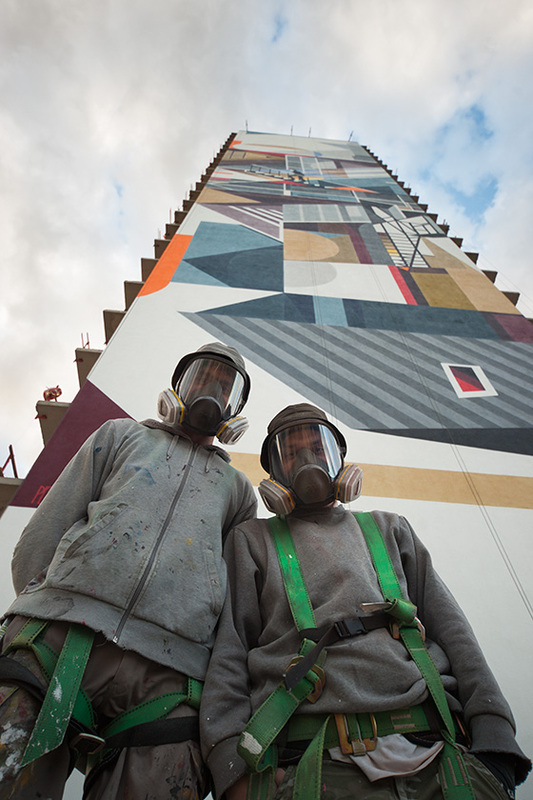 The general idea of the project — to illustrate the evolution of the graffiti writers’ style from the tag to the monumental art. Petro, the author of sketch, turns away from his usual style of decorative, at the first glance, in the direction of abstract subject composition, taking into account the surrounding context. 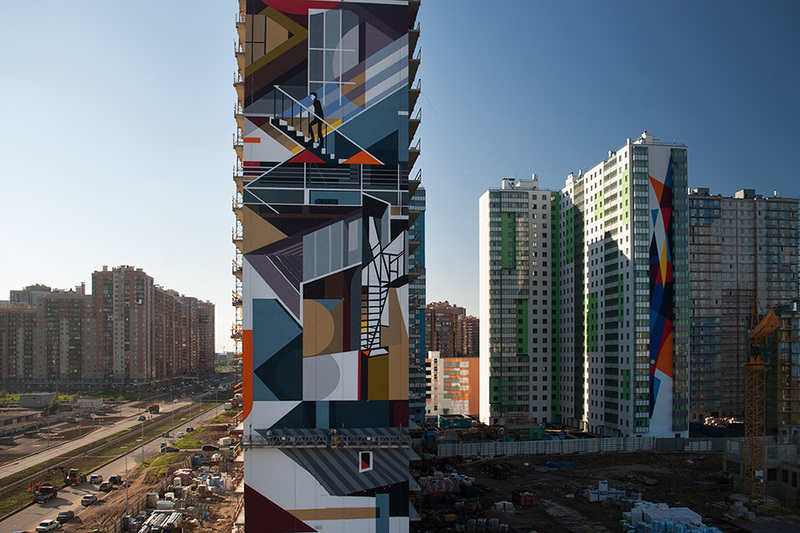 The piece is also possible to distinguish references to the Russian avant-garde and even cubism. 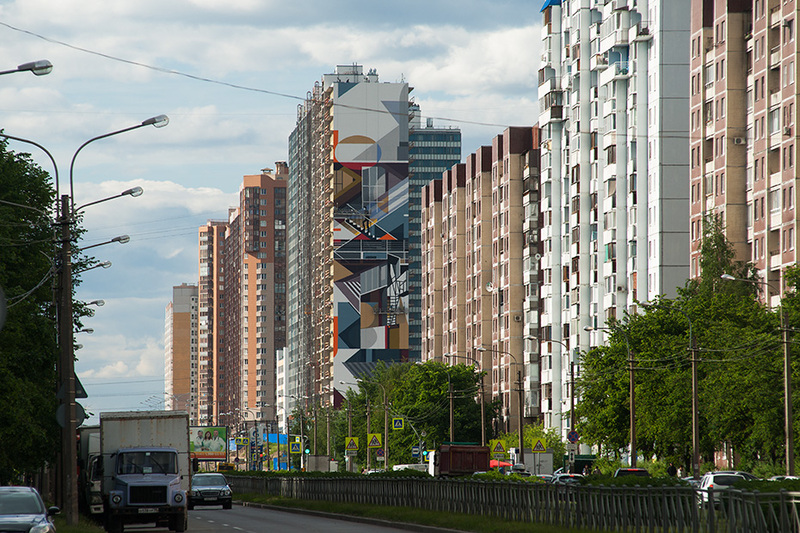 The firewall of the building (height of 75 meters, 24 floors), as well as almost all viewed from the metro station “Commendantsky Prospect”, will be a bright visual landmark of this residental district.